A new viral video for the pro-European People’s IN campaign features an impassioned Gordon Brown walking in the ruins of Coventry Cathedral and enthusiastically praising the UK’s historic role in securing peace in Europe. To explain the significance of his message, a few weeks ago Angelo Martelli wrote about the former prime minister’s speech at the LSE in which he urged Britain to “lead not leave Europe”. His main pitch was that economic and cultural concerns are inextricably linked. It is crucial, therefore, that campaigners wanting to remain in the EU provide answers both on the economy and on the sense of national identity to convince sceptical voters. The first step, in his opinion, will be debunking popular myths and stating convincingly that exports, jobs and inward investments depend mostly on the EU. It is not a choice between the EU and Commonwealth countries or the US: the Free Trade Agreements (FTAs) negotiated by the European block over decades have been extremely beneficial for the UK and these arrangements should be preserved. Mindful of his notorious opposition to joining the euro when he was chancellor in Tony Blair’s government, he argued that there was no contradiction between a multi-currency union and access to the single market. He also made the argument that there was no contradiction between remaining a member of the European Union and self-governance. The future, he suggested is a “united Europe of states, not a United States of Europe”. The very people who are worried about national sovereignty say nothing about American bases and the sovereign control that the Americans have over these bases in our territory, on our soil, but they talk all the time about the loss of sovereignty. And instead of making threats about the potential dangers of Brexit, Brown looked at the opportunities. For him, the EU is the ultimate structure for dealing with the most pressing issues of the day. And again, increasing cooperation among security agencies, sharing information and data across Europe, is the best way to handle the terrorist threat. Ad-hoc deals of the kind suggested by Boris Johnson are not good enough, Brown argued. The former PM’s argument did lack conviction in one particularly important area – immigration. He appeared reluctant to engage significantly in debate about this matter, mentioning only the problem of illegal immigration, rather than the legal movement of people. It is the latter which resonates more powerfully with British voters who want to leave the EU. Challenged about overlooking this in his speech, he responded that “the issue is about business and trade not about immigration”. Nevertheless, Brown’s vision of Europe was positive and ambitious. Where David Cameron continues to emphasise Britain’s “special status”, reassuring sceptics that certain European rules and standards will never apply to them, Brown appealed for Britain to take a central position in the union. He wants to see it becoming more active again, arguing that it is “best served by being a leader in the European Union not just a member”. This is a leadership that, throughout the history of Europe, even in its darkest moments of totalitarianism, has meant a responsibility for Britain to “always stand with those people who care for human rights, democracy and rule of law”. Brown still has significant political clout and his rhetoric has become sharper since leaving office. He boldly brought a touch of idealism to what has so far been a negative campaign. This was an intervention meant to inspire hope and a sense of responsibility and partnership. Brown even re-purposed JFK’s famous line “ask not what your country can do for you, but what you can do for your country”. We are to understand that Britain has a responsibility towards its European neighbours, not just a special status. Brown even reminded of us of another important quote, this time from Nelson Mandela: “May your choices reflect your hopes, not your fears”. And indeed, we hope the British people vote with hope on June 23, not fear. 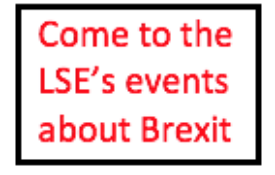 A version of this post first appeared on The Conversation and it represents the views of the author and not those of the BrexitVoite blog, nor the LSE. 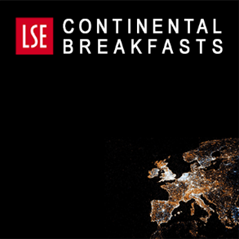 Angelo Martelli is a PhD candidate at the LSE European Institute and the president of the LSE Italian Society. Britain is a Central Figure in EU with Germany and France. Having decided to leave ,I believe, British and in particular London’s influence and jobs will migrate to EU and would mean a hard Brexit. I view this as a grave mistake. It will mean less role for what remains of UK and EU trade barriers pursued by PM Teresa May going on her own to trigger Article 50 without taking a vote in Parliament of Westminster. She is not an elected leader but a leader by default which would certainly lead, in my view, to breakup of United Kingdom. I am hoping it will never happen but the outlook for Scots and Irish is not good for they opposed Brexit. No matter what Gordon Brown says Scots independence will emerge in next 3-5 years no matter what dolly is rolled out to them by the Teresa May to keep Scotland in UK. .. .